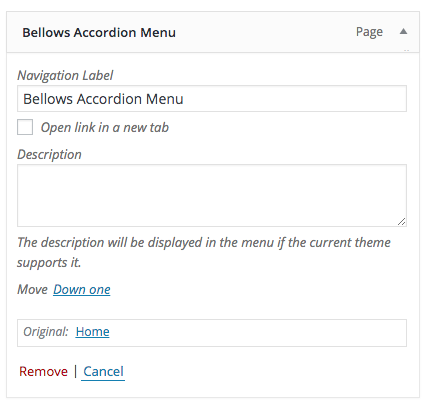 Descriptions are added via the WordPress core menu system’s menu item settings. Enter your description in the description box. Save the entire menu to save the description. Your description will appear below the Navigation Label inside the item link.